Sadly, more then 30% of all children struggle with learning to read. Believe it or not, I was was one of those children back in first grade in elementary school over 30 years ago. 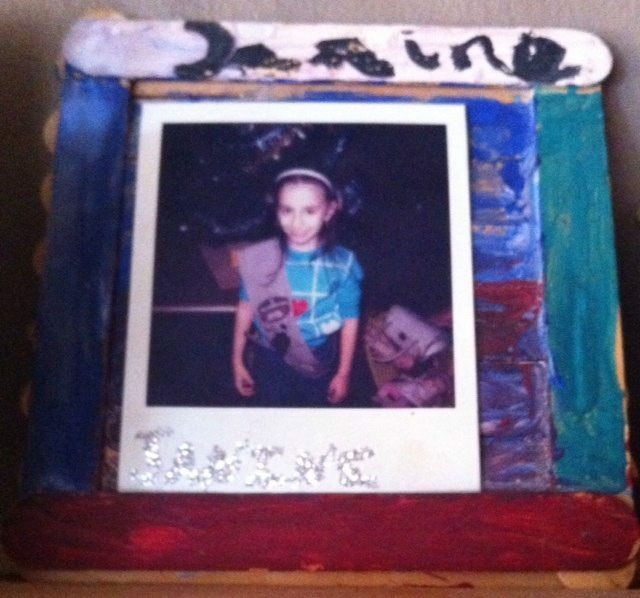 Me in My Brownie Days – Homemade Photo Frame I made for My Mom Back in the Day. I still remember being put in the lower reading group and telling my mom that I was not going to stay in that reading group and was going to be put in the higher reading group. What occurred after that was all due to my mom sitting patiently each afternoon after school to help me learn how to phonetically read and pronounce words at and above eventually above grade level by the end of my first grade year. And yes, I made it into the higher reading group slowly, but surely, because back then my teacher gave my mom books for me to have at home for my mom to indeed work with me to achieve my reading goal. Back then, kids weren’t reading though in Kindergarten and definitely not in pre-school, like Emma now in kindergarten is beginning to indeed read. 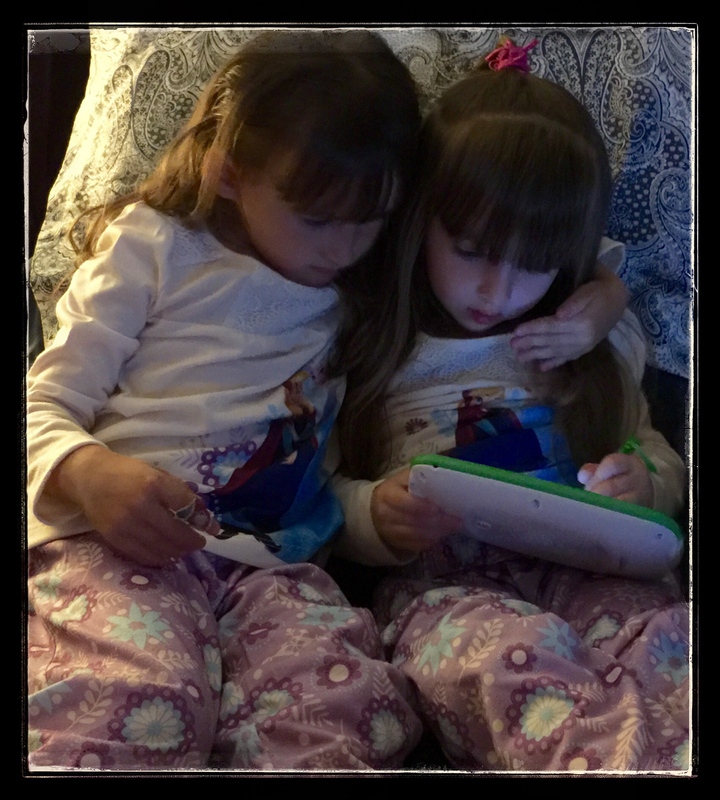 Yet, now more then ever, I am very much on top of both Emma and Lily constantly sitting with them reading, writing and doing activities with them just as my mom did back then with me. Also, there weren’t any early screeners either that could have detected that I may have been in need of some extra help to make me a successful reader any earlier then first grade. Nowadays though, I am thankful that there is indeed outside help. 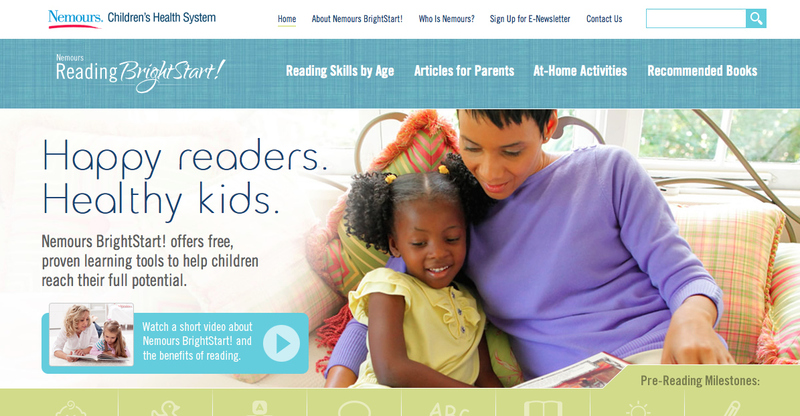 Nemour’s is one such organization that has their Reading BrightStart! 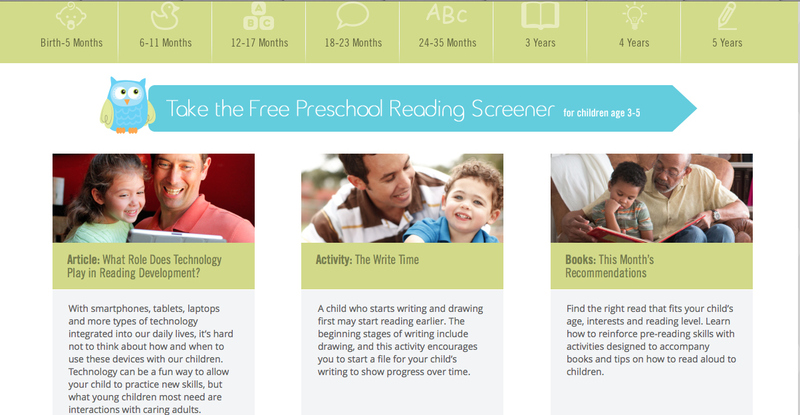 Program, which is a free online reading readiness program focused on building reading success for kids ages birth through 5 years of age, who is headed by the Operational Vice President of the company, Laura Bailet, PhD. and licensed school psychologist. And recently, I was lucky enough to attend a webinar to learn more about this initiative from Nemour’s. What I learned was indeed very impressive about BrightStart! Reading. One of the statistics, that struck me during this webinar, was that if a child is not reading at grade level by the end of first grade that child has a 10% chance of reading at grade level by the end of fourth grade. Remember, it was early first grade that my mom was told that I was not reading up to grade level and yet thanks to my mom’s help, I was indeed reading above grade level by the end of first grade. In essence, early intervention totally helped me and do believe that they Nemour’s onto something here for sure with the concept of early detection and help being a key to combatting reading deficiencies in young kids. In effect, literacy is the single, strongest predictor of adult health. And in this end, Nemour’s Reading BrightStar Program is working to close the gap and ensure that every child receives a bright start for school and life by identifying children at risk and providing them with research based educational activities. Believe they can make a difference (which I am here to tell you from my own past experience – my mom made a world of difference for me as I am truly a lifelong reader). Learn activities to engage their kid. Screen their children at regular intervals. Return to the site for ongoing interaction, learning and community, too. On average, those children who have received BrightStart! instruction have shown gains of 114% in their reading readiness skills. In essence, Nemour’s wants to give every child the promise of a bright start to be happy readers and healthy kids, too. Remember it is absolutely FREE, so if you are a parent to kid(s) 5 and under, I would highly recommend trying this program out for your child(ren). I have started using this as a resource for both my girls and truly so glad that I found out about it, as I feel like it truly is a wonderful (again) FREE resource for us. You might be asking, but where do I get started on their website? 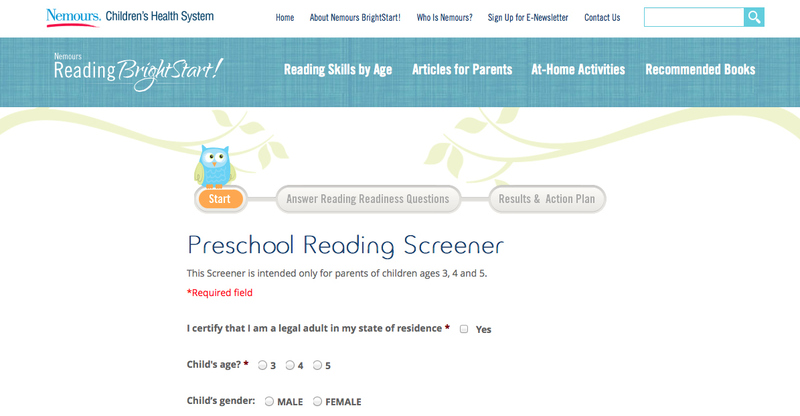 Here you answer some preliminary questions, such as your child’s age and gender before clicking to take the actual short screening test. 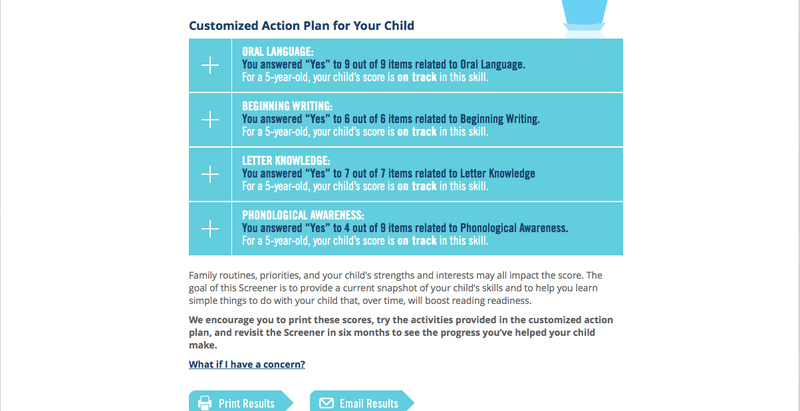 Once you take the test, then you will indeed find out your child’s results (score) and a plan of action if needed for your child. I actually took it for Emma and pretty much told me what I already knew that she was in the average range for her grade, but loved that this exists and which I totally knew about it sooner, especially when she was in pre-school and being nervous about her starting kindergarten this year. 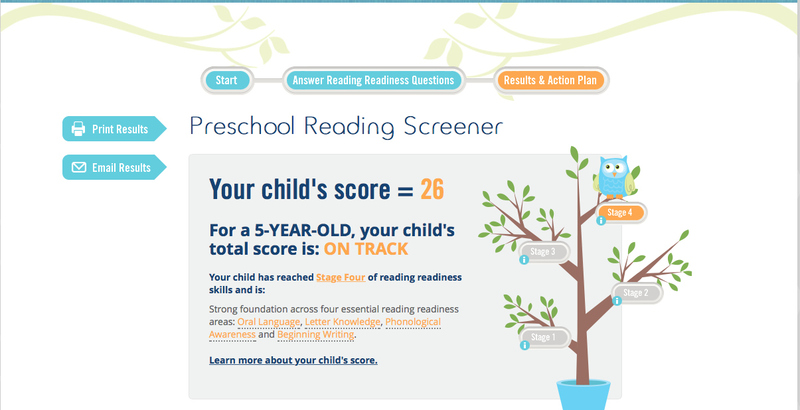 What the Breakdown of A Normal Kindergartner’s Score Looks like. Would love to get your take on this and please feel free to hit me up in the comments on this. Thank you again to Nemour’s for letting me participate in their Webinar. And in case you missed my Holiday Gift Guide from last week which includes #CyberMonday Deals, please check it out HERE!! This sounds so great!! Reading is truly fundamental. My son surprises me everyday with the new words he is learning and reading. I think this is a wonderful resource for parents, and was so glad to hear that the screening is free. It is so true that kids are expected to read by the end of Kindergarten. I may need to look into this for my preschool parents. I own all those book displayed in the reading swag bag! As a former early childhood educator, I knew that reading starts when they are babies… choosing quality board books, and reading over and over again. Slowly, the books are adjusted to the child’s developmental level. Read, read, read… and let them see you read. My oldest daughter is in grade 2 and was just tested to be reading at a grade 6 level – I’m certain this has a lot to do with the reading we’ve done with her and the quality books we’ve provided throughout the years. I’m going to keep this in mind for my youngest though. It’s always nice to have a variety of resources to draw upon and this sounds like a great one. It is so true that the earlier a child reads opens up so many more doors of opportunities. Carly my oldest daughter knew all her letters and sounds and was reading two and three letter words at age 2. We spent a little bit of time everyday learning her letters and sounds. She is now in medical school. Diana my youngest daughter who is 12 was adopted at age 4. She had never been out of a one room room. She could not even hold a crayon at age 4. She struggles every day with reading and is truly behind for her age. These resources are great for parents. If I had another preschooler, I would definitely be doing all of them. Fantastic Janine! Reading is so important! Thank you so much for sharing this! I love encouraging my kids to read! this is great, going to look more into this! thanks for sharing this babe! What a great resource. My little one was behind in reading last year in 1st grade, but is all caught up now. So glad that there are so many resources available now to help – it is always sad to see the little ones that somehow slip through the cracks and still can’t read in 2nd grade. It is amazing how important having a strong foundation in reading is for growth and development. At my last job we really emphasized the importance of reading and talking to young children and the impact they would have on their education. Thanks for sharing this site, Janine! It’s important for all parents and caregivers to know about this. So many milestones are favorites for the parents, but I remember this milestone being my favorite for ME. I was an early reader in preschool and I devoured books. It was my interest, though. Without being so obsessed, I can see that my mom would have wanted to work on it with me the way I do with Scarlet. Sounds like an awesome program! My nearly 5 year old is reading the Ladybird series (beginner) which makes my reader heart proud! With our 4 yr old at home with a foreign au pair, I definitely worry that he won’t be ready for kindergarten next fall. I should really take this assessment. That first grade/fourth grade statistic is pretty startling. It’s so important to catch it early and work with the kids when they need it. 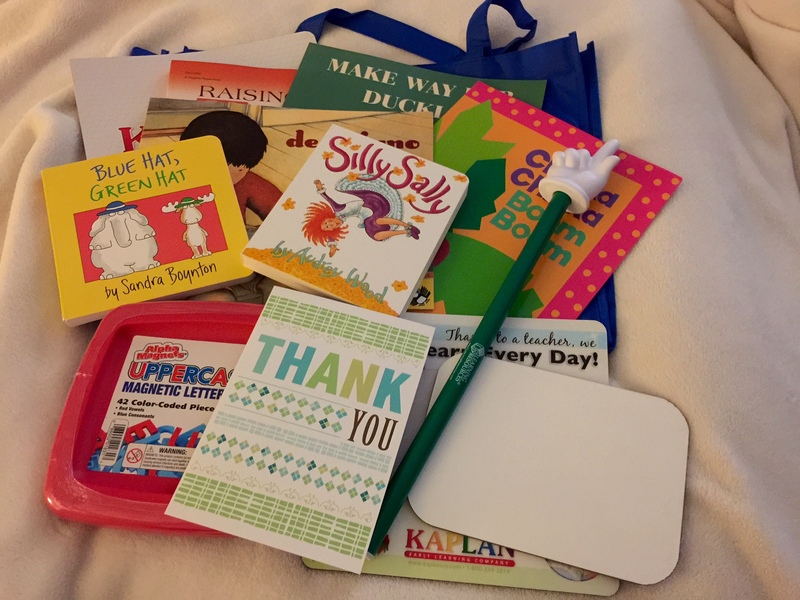 Stopping by again today to share all these terrific ideas to help kids learn how to read at a young age. I truly believe this is the secret to being very successful. I just love that they have a program like this to help such young children who struggle with reading skills! What a great thing to share, Janine! We need to attend to the needs of our kids at an early age and help them be successful readers and students, much like your sweet mother did for you. I am not surprised at the outcome if they are left behind. This is one of the most critical pieces of their academic life. SO glad to see programs like this out there! I often wonder if the ability to catch on quickly with reading has anything to do with age. Christopher and I both have December birthdays. When I was in the first grade I turned six in December. When he was in the the first grade he turned seven in December. He had no problems catching on. But however many years later it is for me, I can still remember staring at a book wondering when I was really going to be able to read it. I lived with my grandparents that year and my grandmother was a 5th grade school teacher. She worked with me every night to catch up. I am blessed to have had her one on one help. But for those who don’t it’s nice that there are programs available to help. This is great! My youngest, who is in kindergarten, is starting to read. I’ve found a little confidence goes a long way. It’s amazing to see things click in his brain…and how proud he is of himself when he can sound out a word! Benjamin told me recently that he wants to learn how to read. I got some early readers from my office and we’ve worked on it a little bit off and on. I don’t want to take the fun out of it, but if he wants to learn…why not! This seems like a wonderful tool for parents! I believe parental involvement is one of the biggest factors in a child’s education. If a parent doesn’t make it a priority, neither will the child–especially if they are already struggling. I love that your mom was there to help get you on track. My mother was always supplementing our school lessons at home, and it’s something I am extremely grateful for. Great resource for parents! Especially that my 3yo struggles learning the alphabets. 🙁 I see that she isn’t ready yet but I encourage her and do stuff that can help develop her love for reading. This is a great program. We read to Mai all the time, but I am not always sure of the best way to introduce sounding out words and having her read on her own. Looks like a great program. I love the picture of the 2 reading as well. Adorable!